Of all the ways to keep warm this winter, this accessory is a charm. 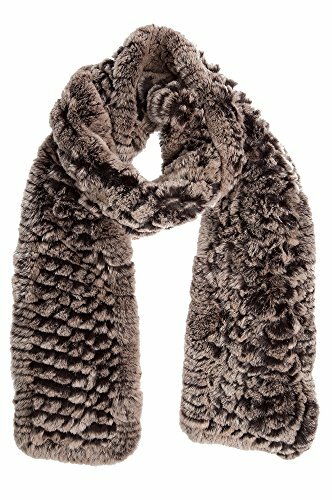 The luxurious Knit Rex Fur Scarf offers fifty-four utterly soft inches of Rex rabbit fur that feels so good it makes you grateful for cold weather. Knitted with a touch of elastic for stretchable comfort, this handmade fur scarf adds that special accent to your coat or jacket for a great looking finish. Lining: 50% cotton / 50% dacron. Approximately 54" L x 5" W. Made in China. Lining: 50% cotton / 50% dacron. Approximately 54" L x 5" W. Made in China.